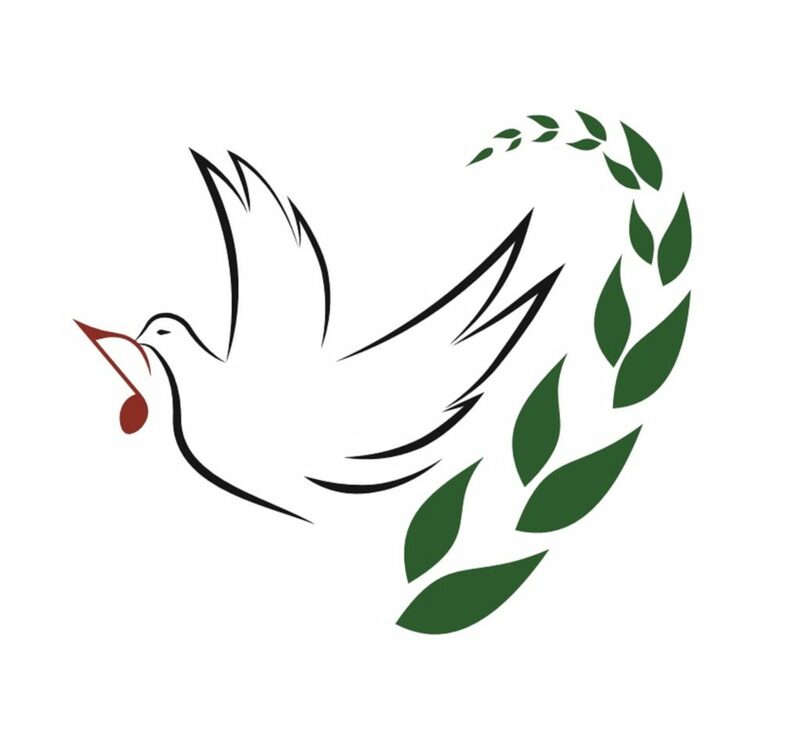 Music for Peace is a nonprofit organization which focuses on broadening Amer Shanati’s mission to teach music as an instrument for peace. As a Palestinian born in Syria, Amer was considered a citizen of nowhere. To him, that also meant that he was from everywhere. The idea of ‘life without borders’ has deeply influenced his career as a musician and as a teacher. His schools were a place where students from different backgrounds, different religions, with any or no money, could come together and share in the joy of music. 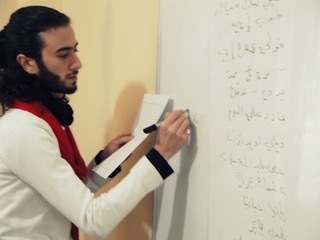 When war broke out in 2011, Amer continued teaching and putting up concerts with his students. For many, playing music for hours at his school became a refuge away from the war. 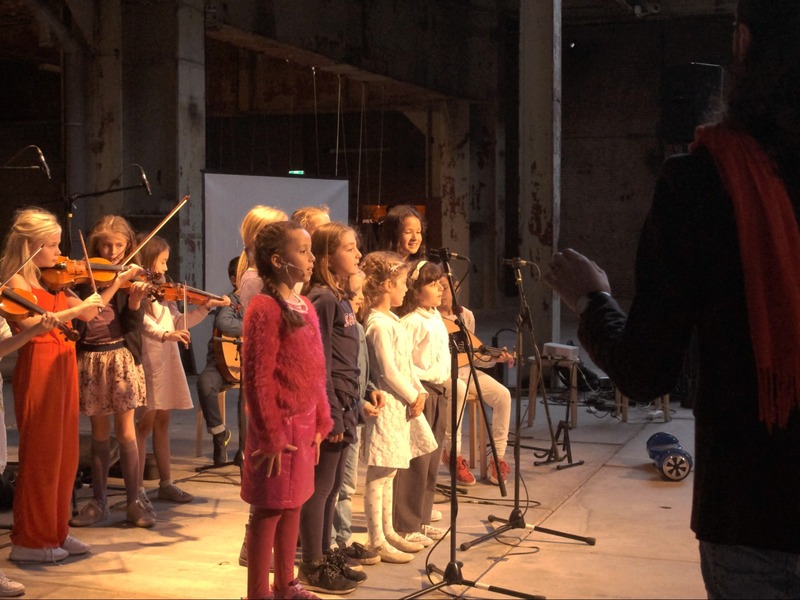 After Amer was forced to flee to the Netherlands in 2014, he has continued to teach and perform and connect people through music, regardless of borders or language. This music itself would exemplify peace. With that, came Music for Peace. Many of Amer’s students are still in Syria. One of Amer’s most promising students, Ahmad Alkateeb, has since grown into an incredible player and teacher himself, just like his mentor. 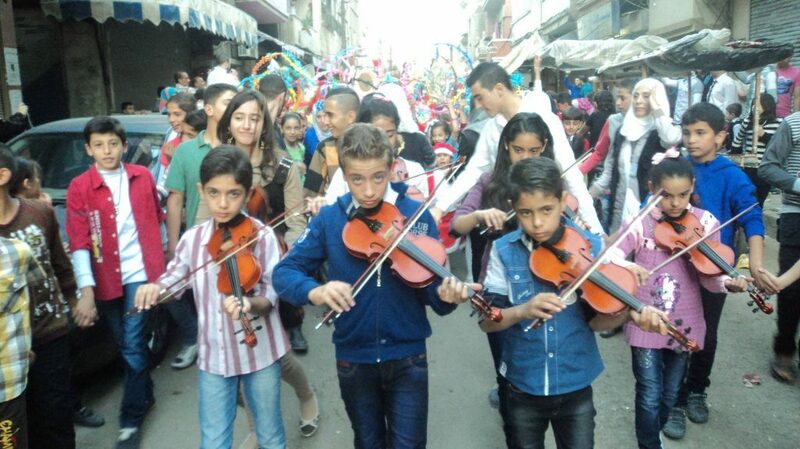 With Ahmad’s leadership, ‘Music for Peace’ is coordinating educational programs, music lessons, and children’s orchestras back in Syria. 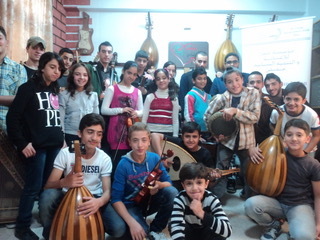 Through new supplies, instrument purchase and repair, access to sheet music, and even internet for workshops with Amer, 2019 will realize a new birth for Amer’s teaching back in Syria. Much like he did in Syria, Amer has continued bringing together students from all over the world, now in The Netherlands. These orchestras come with a variety of languages, but all communicate with their hearts through the music. 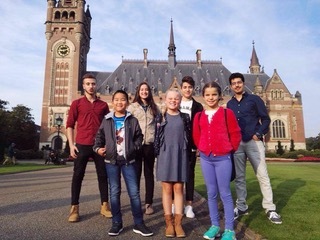 They’ve performed at festivals, concerts, peace events, museums, and twice at the Peace Palace in The Hague. One of these orchestras was the focus of the 2018 documentary ‘Peaced Together’, which has been screened worldwide. 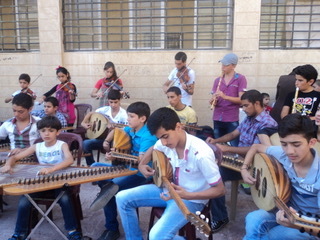 Amer’s schools in Syria also acted as a music shop. He fixed and rebuilt many old instruments for students who could not afford their own. Amer continues to find, procure, and purchase broken and worn instruments and bring them back to life. 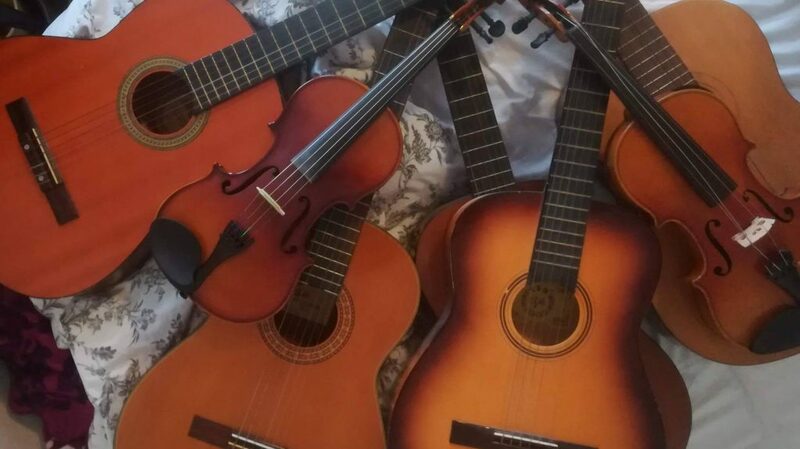 These instruments have been sent to his students Europe and around the world.